The latest addition to the Juvederm range – Juvederm VOLIFT with lidocaine, delivers natural looks at their best. 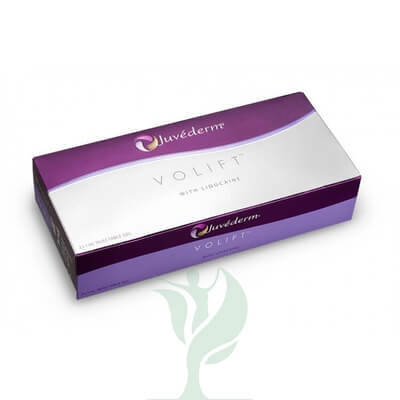 Juvederm VOLIFT with lidocaine contains biocompatible hyaluronic acid which is an injectable filler that provides instant results that are natural. Volift utilises VYCROSS technology; an innovative combination of low and high molecular weight HA to improve the cross-linking efficiency of HA chains. The cross-linking enables a low concentration of Hyaluronic acid to provide effective natural long-lasting results, alongside minimal swelling and bruising. Many moisturisers contain hyaluronic acid, but facial fillers containing hyaluronic acid, like Juvéderm®, are the only way to replenish the hyaluronic acid deep within skin.